Please welcome Sarah Creech to The Qwillery as part of the 2014 Debut Author Challenge Interviews. Season of the Dragonflies was published on August 12th by William Morrow. Sarah: I began writing poetry in the fourth grade and started my first novel in the sixth grade. It was titled Lisa’s Halloween. My sixth grade teacher helped me type the chapters during her lunch break. Bless her! I started writing because my mother loved reading novels so much and I wanted to impress her and make her proud. Twenty+ years later, I managed to do it. Season of the Dragonflies is dedicated to her. Sarah: Panster. Super intuitive writer. I have a sense of the scope but I don’t know the details of the plot until I write the first draft in full. Being a plotter seems much more productive. Sarah: Doubting my choices. But the best part of writing is the affirmation of said choices. Our strengths are often are weaknesses, right? Sarah: Influences: Fitzgerald, Virginia Woolf, Colette, Tolstoy, Henry James. Favorite contemporary authors: Junot Diaz, Zadie Smith, Haruki Murakami, Alice Hoffman. TQ: Describe Season of the Dragonflies in 140 characters or less. Sarah: It’s about a family-owned perfumery, passed down by generations of women, who manufacture a perfume that guarantees the success of any woman who wears it. But the company is in trouble. TQ: Season of the Dragonflies is describe by the publisher as "... a story of flowers, sisters, practical magic, old secrets, and new love..." What is "practical magic"? Sarah: This phrase calls to mind Alice Hoffman’s bestselling novel. Beyond that connection, I consider practical magic to be the kind of power that’s useful, like a perfume that will guarantee extreme success in a career. A potion to make your hair change colors? Not as much. TQ: Tell us something about Season of the Dragonflies that is not in the book description. Sarah: The book has a darker side than what the description suggests. The novel explores the consequences of decisions made out of greed, anger, and impulse. 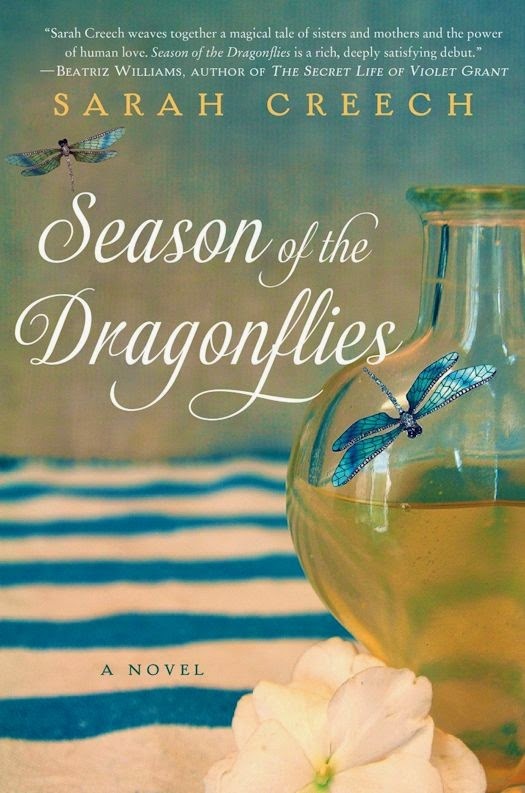 TQ: What inspired you to write Season of the Dragonflies? Why did you set the novel in the Blue Ridge Mountains? Sarah: I became obsessed with the work of Birute Galdikas and her work with orangutans in Borneo. Birute traveled alone to Borneo in the South China Sea to study the most elusive of the primates. I admired her ability to pursue her work despite the isolation. Before I began writing Season of the Dragonflies, I studied as much of her work as I could find. I was most moved by her memoir titled Reflections of Eden. I’m inspired by the adventurous spirit of women like her, and Jane Goodall and Dian Fossey, to name but a few powerful female scientists. I wanted a character to go to that mysterious and beautiful place like Birute did and find self-affirmation. What my character Serena finds is the magical flower at the base of the Lenore family perfume. And that’s how my writing process began, with Serena Lenore traveling to the South China Sea at the turn of the twentieth century. From there, the novel is a story about Serena’s heirs and what they do with the power she discovered. TQ: What sort of research did you do for Season of the Dragonflies? Sarah: I studied Birute Galdikas and work by Fossey and Goodall. I also researched the life and work of Coco Chanel, especially the development of Chanel 5. I researched the history of perfume and distillation. Traveling to Paris turned out to be very informative. The Creed family of Paris is the world’s only dynastic perfume business passed down to male heirs. I studied this company and felt inspired to make an American dynasty of women. Sarah: Willow was the easiest character to write, which surprised me. She is sixty-one year old with far more life experience than me. What connects us is motherhood. I’ve discovered that motherhood defies boundaries that age can sometimes create. I had a harder time writing Lucia and Mya, even though they are in their thirties, simply because they’ve had the luxury to postpone different elements of adulthood. And I did not. TQ: Give us one or two of your favorite non-spoilery lines from Season of the Dragonflies. Sarah: I’m working on a new novel of a completely different subject matter. Here’s to hoping for magic in the writing process! Born and raised in the foothills of the Blue Ridge Mountains, Sarah Creech grew up in a house full of women who told stories about black cloud visions and other premonitions. Her work has appeared in storySouth, Literary Mama, Aroostook Review, Glass, and Glimmer Train. 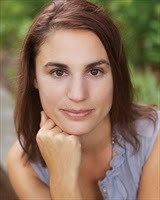 She received an MFA in 2008 and now teaches English and creative writing at Queens University of Charlotte. She lives in North Carolina with her two children and her husband, a poet. This is her first novel.